I Thought I’d do something a little different, and give you all a new “taste,” of this blog(pun intended. First on the platter is Rue 57 New York. with a deliciously rich atmosphere,and it’s fair share of celebrity sightings it’s no wonder this midtown Manhattan eatery is full of patrons. Rue 57 offers everything from brunch to sushi, the service is attentive and timely. 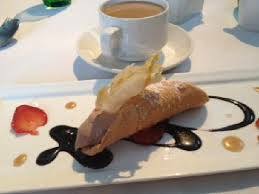 The presentation of the food is lovely, and more importantly everything is prepared perfectly at this French American Brasserie in the heart of the city. The kitchen, overseen by chef Rich Robson churns out dishes from eggs florentine or brioche french toast to duck ala orange, and bread pudding. There isn’t much you can’t get at this delectable dining spot. 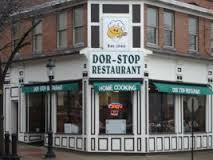 #2)The Dor-Stop Restaurant, Pittsburgh Pennsylvania. If you prefer quaint and homey to rich and fancy this place should be your second stop! 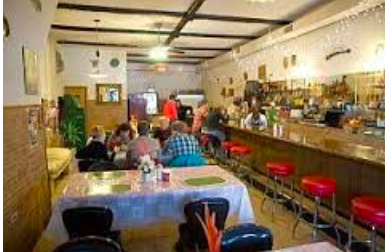 The Dor-Stop Restaurant in Pittsburgh Pennsylvania is a breakfast fan favorite. 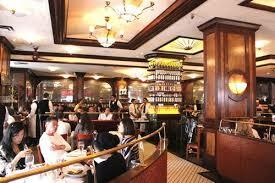 The atmosphere is casual and feels more like your home town diner, even if your from out of town. Don’t discriminate it based on looks alone however. Famous for being featured on Diners, Drive-ins and Dives, this place packs a punch for your tastebuds into it’s tiny booths. The coffee is warm and the rasberry french toast is sweet. Not to mention, the prices are reasonable and their breakfast selection is hard to beat. In keeping with the home town vibe, if yours is in Poland then your sure to love this next place! 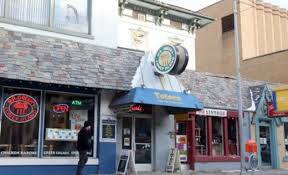 #3) Podhalanka in Chicago, has an old world with a circa 1956 Poland feel. It’s a Polish diner owned for a quarter of a century by a woman from Krakow,and located in the city’s old Polish Triangle. Yet another quaint place, serving up authentic home cooked Polish meals. For a more coastal(and warm) atmosphere, let’s head to Half Moon Bay in California. 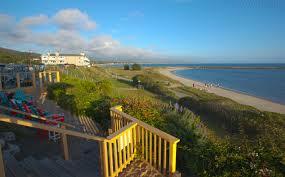 Here in this serene and beautiful space you’ll find Sam’s Chowder House. #4) Sam’s Seafood Market and restaurant at Half Moon Bay, Palo Alto California. You know a place is good when a television show( Good Morning America) on the opposite side of the country reports on their food. In this case it’s the best lobster rolls I and many others have possibly ever had. The internet is rife with recipes trying to duplicate it’s greatness. However, nothing is quite like the real thing. Not to mention the location and atmosphere, is well worth the drive to this seaside Seafood Market and restaurant on the Pacific Ocean. The views are glorious, the fare(in this case sea creatures) are fresh and the price is also reasonable. #5) Totoro Sushi Ann Arbor, Michigan. Not only does this artistic(former very hippie)town offer good shopping,and tasty drinks but great sushi too! They have a variety of rolls and they’re always fresh. 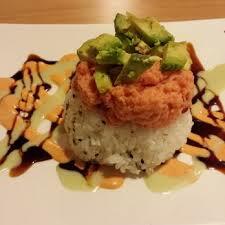 A personal favorite of mine is the yam-yam roll(hello sweet potato goodness!) If your not a local, no need to worry as it’s easy to find, right off of State street and next to an Urban Outfitters(I did say shopping didn’t I? If you like shopping, then you know about New York City. However, your probably unaware of a lesser known(and equally great) place that’s just a hop skip, or a zipcar away. #6) The Frog and the Peach, New Brunswick New Jersey. This place boasts all of the swank(valet parking anyone) with none of the attitude. Not just the main entrees are delicious, but so is the bar. 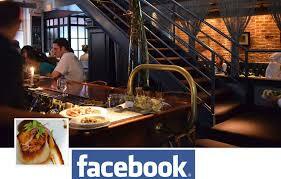 During happy hour(4:30-6:30) you can enjoy bar food such as mini croissant wrapped kobe beef hot dogs(so good!) with a delicious drink. Not bad at all for a swanky place such as this. Even though it’s off the beaten path from New York, don’t discount the possibilities New Jersey has to offer. As well as it’s lesser known delicious dining destinations. Last but not least some yummy eats that are far from the East! 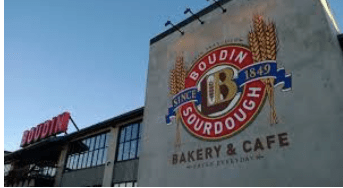 #7) Boudin Bakery and Cafe. Your hills,your iconic bridge,the flower children,and the salty air in your yeast!? Yup, the San Fransisco air does something a little bit special to it’s famous sour dough bread. Which is why you should try some while your there. Enter Boudin Bakery and Cafe. These can be found dotted around San Fransisco and serving up it’s tasty bread along with soups and sandwiches. Move over Panera, because here comes your laid back and hipper older sibling.